fantastic twins, the solo artist formerly known as the twins, has always carried an air of transmutability - not only in a name creating its own hall of mirrors, but also in a constantly fluctuating sound, from the first spoken word interludes recorded as the truly fantastic dessagne twins from saint-etienne (for the pachanga boys’ infamous “we are really sorry” album) to myth-building solo releases on hippie dance and optimo music, as well as style- bending remixes for la mverte vs capablanca, moscoman and – most recently – fellow hippie dancer rebolledo. 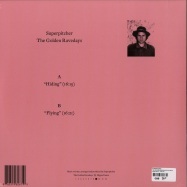 musically and emotionally, superpitcher’s third full-length studio album, the golden ravedays is a one sound autobiography that exhibits the skill, feeling and style that the artist has honed over a period of twenty years, musically, and forty-plus- years, emotionally. and full-length it is: the golden ravedays is an epic album of 24 longer than usual tracks that was released in january 2017 and is stretching over 12 respective chapter albums during a one-year period. the 11th edition of the golden ravedays album will be released on hippie dance in november 2017. side a brings brothers. with two decades of spinning experience in disco’s, nightclubs, festival arenas, shady after-party zones and intimate studio soirees there is no doubt that superpitcher is seasoned in throwing a damn good party. brothers is party personified and a celebration of the night and the wise owls that respect its magical rituals. 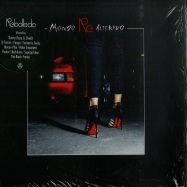 its ultra-chic disco groove and dreamy female vocals transport one to a carnival of blessings. side b features sleepy head, a hypnotic lullaby carefully tucked away in a hammock that rocks to and fro like dozing mermaids in a wavy curtain of seaweed. sleepy head is a smart artistic statement and whimsical pause just before the release of the grand finale of the the golden ravedays saga. 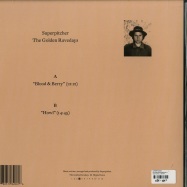 musically and emotionally, superpitcher’s third full-length studio album, the golden ravedays is a one sound autobiography that exhibits the skill, feeling and style that the artist has honed over a period of twenty years, musically, and forty-plus-years, emotionally. and full-length it is: the golden ravedays is an epic album of 24 tracks that was released in january 2017 and is stretching over 12 respective chapter albums during a one-year period. the eighth piece of the golden ravedays puzzle will be released on hippie dance in august 2017. number 8 of the series introduces two tracks that will take you to the far side of somewhere you’ve never been before. they are both reminiscent of outer space blues playing spooky games in a dust bowl. side a features tuesday paris texas a tastefully arranged track with vintage sounds passing nonchalantly through a wild western aural landscape. the music is announced like a cowboy movie dual complete with bar doors swinging on rusty nails in slow motion. mournful guitar strings swirl over a steady horseback galloping beat, expanding into a full-on-fire dance track. halfway through a woman’s haunted voice appears and disappears like an eerie siren, a gunshot is fired (was that a gunshot? ), a man whispers “what! ?” tuesday paris texas is in no hurry to give an answer. 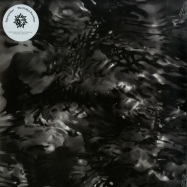 side b features mirage a desert sound collage glued to a steady pulse that rolls and rolls, circumventing any destination. mirage is a contour map of no surprising peaks just undulating valleys of wistful cathodic sound creeks, sometimes veering off to plains in full view of the moon, in earshot of solitary wolf cries. 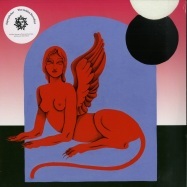 like tuesday paris texas, mirage is testament of superpitcher’s versatile prospecting beyond the elemental sound tools of the electronic music trade. 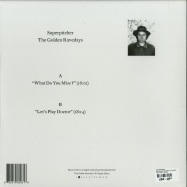 musically and emotionally, superpitcher’s third full-length studio album, the golden ravedays is a one sound autobiography that exhibits the skill, feeling and style that the artist has honed over a period of twenty years, musically, and forty-plus-years, emotionally. the golden ravedays is an epic album of 24 tracks that was released in january 2017 and is stretching over 12 respective chapter albums during a one-year period. the sixth piece of the golden ravedays puzzle will be released on hippie dance in june 2017.
number 6 of the series introduces two further tracks of the sound adventure that superpitcher is taking us on this year. 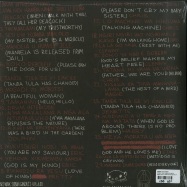 side a features protest song. if music is a way of transporting us to other places, protest song takes us to a desolate, scary and loveless environment, a burnt-down, burnt-out place where the flesh of its former inhabitants is smouldering, void of goodwill and kindness in a cloud of toxic and greedy smoke. 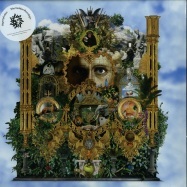 it’s all kafka and orwell and suffering - the most twisted and eerie track so far in the golden ravedays saga. what is undeniably clear is an acute sense of regret and loss - a warning that it could have been avoided, had we only listened to our hearts and protested. 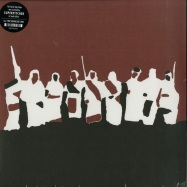 in the same vein on side b we hear powerful resistance. produced after the paris attacks of 2015 superpitcher outdid himself with this strong message of resistance. where protest song paints a picture of under-worldly doom, resistance’s techno beat and insistent refrain sweeps us to the surface of the muck of hatred and intolerance we’ve politically been dumped in. a voice that seems like a trapped animal is calling out to us. what is it trying to say? is it crying out for help? is that animal all of us? resistance represents hope and encouragement and could be the perfect marching track to any demonstration against negative forces. much needed in this age of bigotry where it seems like time has leaped backwards to a darker side of history. as for the dancefloor – resistance is irresistible! 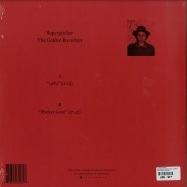 musically and emotionally, superpitcher’s third full-length studio album, the golden ravedays, is a one sound autobiography that exhibits the skill, feeling and depth of style that the artist has honed over a period of twenty years, musically, and forty-plus-years, emotionally. 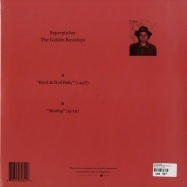 musically and emotionally, superpitchers third full-length studio album, the golden ravedays is a one sound autobiography that exhibits the skill, feeling and depth of style that the artist has honed over a period of twenty years, musically, and forty-plus-years, emotionally. and full-length it is: the golden ravedays is an epic album of 24 tracks that was released in january 2017 and is stretching over 12 respective chapter albums during a one-year period on record label, hippie dance. 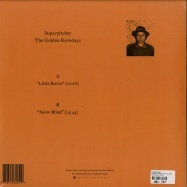 musically and emotionally, superpitcher’s third full-length studio album, the golden ravedays is a one sound autobiography that exhibits the skill, feeling and style that the artist has honed over a period of twenty years, musically, and forty-plus- years, emotionally. and full-length it is: the golden ravedays is an epic album of 24 longer than usual tracks that was released in january 2017 and is stretching over 12 respective chapter albums during a one-year period. the 12th and final edition of the golden ravedays album will be released on record label hippie dance in december 2017. side a is the ballad of late night skanking. true to the soul of skanking this track is weaving its delicate elements between the rise and fall of a monumental wave that teasingly never breaks. the main melody so seduces and hypnotizes that before you know it you’re a wide-eyed cobra waving away in a basket. standing ovation! hands in the air! he made it! the very last track of superpitchers epic golden ravedays odyssey is a jovial spree, a hullabaloo of merrymaking, the perfect celebration of the beginning to end of this heroic album. punky reggae party is a fantastic collision of festive sounds, beats and voices that bring us undecipherable messages and everything else that is far beyond nice, nice, nice. encore! encore! recently, superpitcher was invited to go on a safari in south africa. he bought a custom made safari hat at his favorite milliner in cologne (ju&#776,,rgen eifler) and set off with big eyes and a pair of binoculars. it was wild and wonderful and he saw many exotic (and big!) animals, even a leopard in a tree that told him the secret of the universe. he forgot what the leopard said because his mind was still playing and replaying the sound of what he heard on the first night of his arrival – the hypnotic and moving sound of the voices of africa, the voices of the wonderful tanda tula staff choir. there, the choir members work during the day at the camp and at night entertain the guests with their captivating voices and energetic dancing. 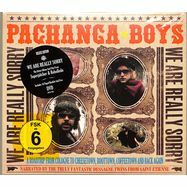 so impressed was he with their songs and beautiful shangaan language that he decided to record a cd for them to sell in the shop at their camp and now this precious recording is also available through hippie dance / bush recordings on vinyl and cd for you in whatever wherever camp you are. 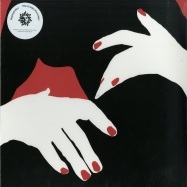 the lp of the tanda tula choir comes with a very pretty poster. 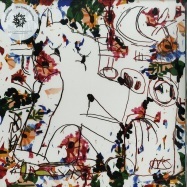 musically and emotionally, superpitcherÆs third full-length studio album, the golden ravedays is a one sound autobiography that exhibits the skill, feeling and style that the artist has honed over a period of twenty years, musically, and forty-plus-years, emotionally. and full-length it is: the golden ravedays is an epic album of 24 tracks that was released in january 2017 and is stretching over 12 respective chapter albums during a one-year period. the seventh piece of the golden ravedays puzzle will be released on hippie dance in july 2017. number 7 of the series introduces two further tracks of the sound adventure that superpitcher is taking us on this year. 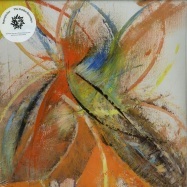 side a features andy, music made by superpitcher in memory and admiration of a pioneer artist and his works. andy warhol looks a scream, hang him on my wall, andy warhol, silver screen, can t tell them apart at all, andy walking, andy tired, andy take a little snooze, tie him up when he s fast asleep, send him on a pleasant cruise, when he wakes up on the sea, be sure to think of me and you, he ll think, about paint and he ll think about glue, what a jolly boring thing to do. david bowieÆs lyrics about andy warhol mirror the groovy yet deeply moving emotion of this track. the music superpitcher imagined here is a pleasant cruise in itself and once you wake up from it, you will for sure think of andy. 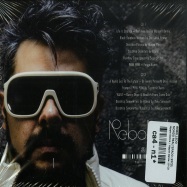 side b features yves. the track starts with a long introduction of harp music and then gently evolves into one of the more fragile and poetic pieces superpitcher has created thus far for the golden ravedays record. 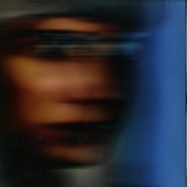 similar to andy this track is dedicated to an artist, yves saint laurent. what is clear in this music is that there is an intense understanding of the suffering yves saint laurent lived throughout his life as an artist and fashion designer. as only superpitcher can, he translated that emotion into this beautiful and touching piece of music. it is mmmm?, it is aaaaaah, it is roar-roar!, it is boombittyboom, it is yess-yess-yess-right-there, it is what? !, it is looong-so-looong-not-long-enough, it is oh-oh-coming-please-don’t stop!, it is seriously?, it is intergalactic, it is yawp-yawp!, it is pandemonium, it is never-been-heard-like-this-before: superpitcher! 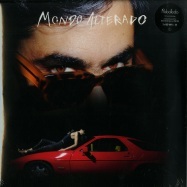 after rebolledo’s successful debut album super vato (cÓmeme cd lp 01) from two thousand eleven, his highly praised mix cd momento drive (kompakt cd 117) from two thousand fourteen, and all-around mayhem during his adventures as one half of the pachanga boys, xalapa s finest returns with his second solo album mondo alterado: a recollection of moments and experiences from recent years, colorful mnemonics encompassing the brightest and the darkest. 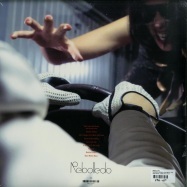 the result is a kind of soundtrack for a movie that doesn t exist, a sonic journey designed like a mixtape that faithfully reflects rebolledo s background as dj and producer. nine tracks connect for one overarching narrative, sharing elements, motives, details, as they blend together. 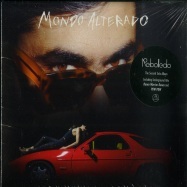 the artist s signature can be found all over the place, roaming between straight, rock-drenched drumming, sinister atmospheres, raw synth textures, exciting peaks and foggy bottoms - but always following the kinetic flow and relentless drive which are such a big part of rebolledo s compelling charme.